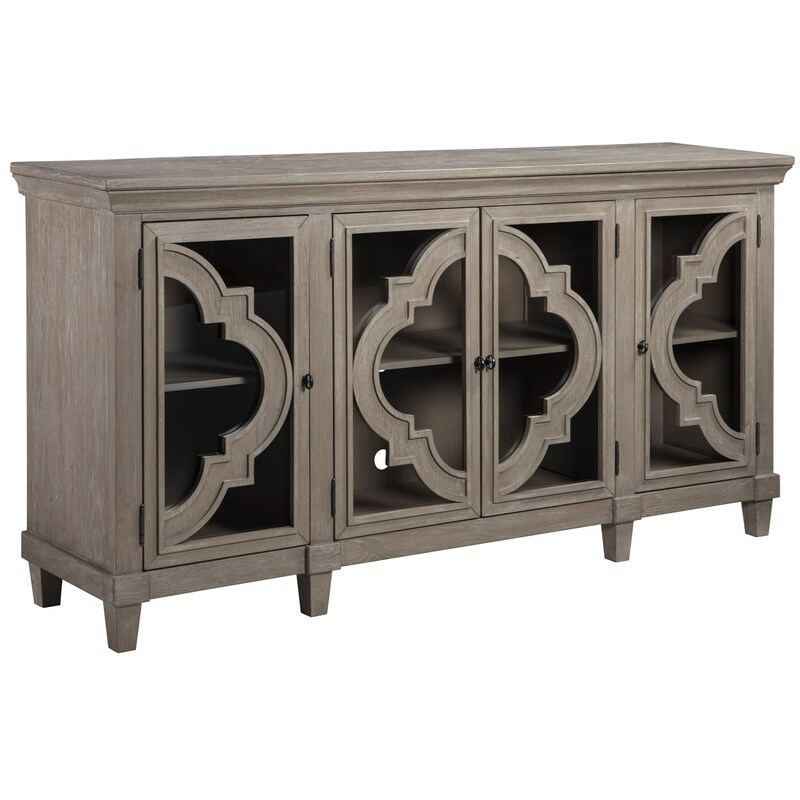 Boost the style and functionality of your living room with this transitional accent cabinet. The invaluable space provided to you by the four cabinet doors and adjustable interior shelf allow you all the customizable space you could ask for. The glass panel door fronts with classic quatrefoil pattern give the piece a sense of lightness that helps add to the overall design of the cabinet. The combination of gray and black metal finishes give this piece the finishing touches it needs to make it the perfect addition to your home. The Fossil Ridge Transitional Accent Cabinet with Adjustable Shelves by Signature Design by Ashley at Miskelly Furniture in the Jackson, Pearl, Madison, Ridgeland, Flowood Mississippi area. Product availability may vary. Contact us for the most current availability on this product.